By RV, motorcoach, boat or yacht, however you make your way to St. Augustine, we have a campground or fish camp to set up your home away from home. Set up camp at one of the campgrounds near the Nation’s Oldest City and enjoy the outdoors from dawn to way past dusk. Though St. Augustine was built to serve as a mild retreat from the harsh northern winters, even in the peak of summer you can find a light ocean breeze dancing through the city, ensuring a respite from the heat of the day. Docking your boat in one of St. Augustine’s marinas on the Intracoastal or along the downtown bayfront can make an unforgettable vacation. 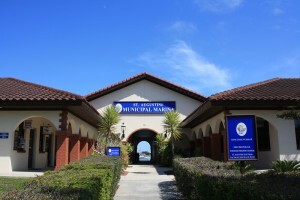 Many of the Old City’s marinas offer a wide range of amenities while still being in close proximity to shopping and attractions around town. 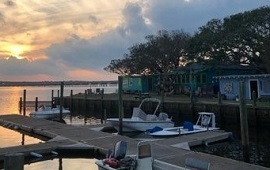 In addition to the campgrounds and marinas in the area, St. Augustine boasts some incredible fish camp resorts. Many have direct access to the Intracoastal, which is the perfect escape for relaxing with buddies and fishing the days away. Don’t limit yourself to hotels and bed and breakfasts when staying here in St. Augustine. Campgrounds and marinas offer alternatives for those who love to be outdoors and know that our water and weather are as appealing as our history, attractions, and dining. Take a moment to browse through our available listings for places where you can drop your anchor or put up your awning!